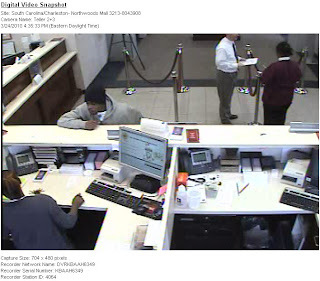 BB&T Bank Robbery | Crime Stoppers of the Lowcountry: 554-1111 | 1-888-CRIME-SC | Anonymous tips earn cash rewards with Crime Stoppers of the Lowcountry. 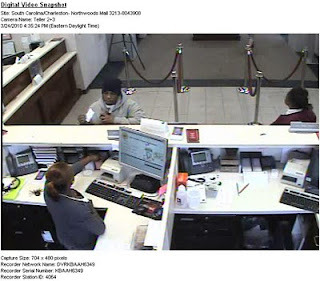 NORTH CHARLESTON, SC - On March 24, 2010 at approximately 4:37pm a bank robbery occurred at 2152 Northwoods Blvd (BB&T Bank). The suspect was a black male, 35-40 years of age, wearing a gray hooded jacket and a knit cap. The suspect presented a note advising the bank teller that he had a weapon however no weapon was presented. 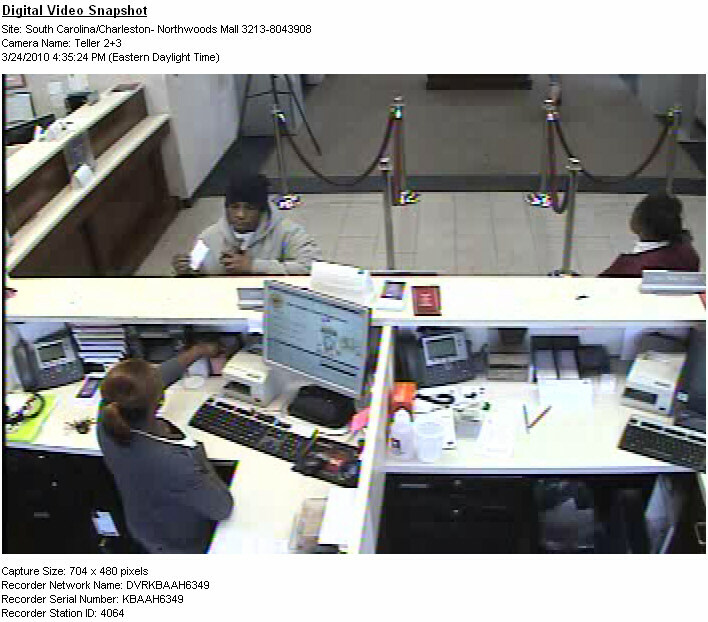 The teller complied with the robber’s request and the suspect exited the bank with an undetermined amount of money. Below are photos from the bank’s security system. The suspect in this robbery appears to be the same individual responsible for other bank robberies in the Charleston area. North Charleston Investigators are working with Charleston City and County Sheriff’s office.